H.R. 6311, The Increasing Access of Lower Premium Plans and Expanding Health Savings Account Act of 2018, was passed on July 25th. The new legislation increases the Self-Directed HSA (Health Savings Account) annual contribution limits for those with employee-only coverage from $3,450 to $6,550. And for those with family coverage, the limits are increased from the current $6,900 to $13,300. A new provision also allows both spouses to make “catch-up” contributions (an extra $1,000 each year) into a single Self-Directed HSA account provided that they are both HSA-eligible and age 55 or older. The previous law required both spouses to open separate Self-Directed HSA accounts for their respective catch-up contributions. It allows Flexible Spending Account (FSA) balances to be carried over to the following plan year as long as the balance in the account does not exceed three times the annual FSA contribution limit. Formerly, individuals were allowed to use their Self-Directed HSA funds only for qualified medical expenses that they incurred after they established their HSA, which could have been after they opened the associated high-deductible policy. The new provision treats Self-Directed HSAs opened within 60 days after establishing coverage under HDHP as having been opened on the same day as the policy. Specific bronze and catastrophic health plans may now be Self-Directed HSA-qualified plans. Everyone who is in the individual market may now purchase lower-premium copper health plans. The Affordable Care Act’s annual tax on health insurers has been postponed from 2020 to 2022. Will the limit increases result in contribution increases? Employee contributions to the account are deductible from taxable income. Interest or capital gains on the assets in the account accumulate tax-free. Distributions for qualified medical expenses are excluded from taxable income. 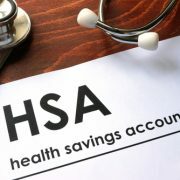 While everyone from financial planners to HR departments have been encouraging the use of Self-Directed HSAs, only 6 percent of the HSA accounts that were opened in 2016 received the maximum annual contribution. That contrasts with the 30 percent of accounts that were opened ten years earlier, in 2006. It shows that the longer someone contributes to a Self-Directed HSA, the more they seem to appreciate the benefits of them. Perhaps increased education on HSAs could prompt even more workers to take full advantage of them. Your account can continue to grow year after year if you do not need the funds for medical expenses. You can invest the money in your account in mutual funds. You can use your Self-Directed HSA to reimburse expenses that occurred in the past as long as the HSA had been established at the time of the expense. Like an IRA, the remaining funds in your Self-Directed HSA can help you finance your retirement. Since Self-Directed HSAs were created back in 2003, they have been helping Americans handle their medical expenses. This newest legislation, which nearly doubles the limits on contributions, serves to make them all the more valuable. As the burden of medical coverage is shifted toward the worker, Self-Directed HSAs become an invaluable planning tool. The same can be said for a Self-Directed IRA for your retirement. 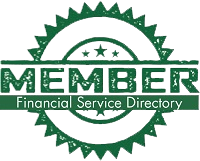 At American IRA, we have the experienced professionals to make your Self-Directed IRA transactions go smoothly and quickly. With our simplified process, you can effortlessly diversify your Self-Directed IRA account with any alternative investments you wish to own. Eligible individuals are permitted to establish and maintain Health Savings Accounts (HSA)s, for the purpose of paying and/or reimbursing themselves for eligible medical expenses. Like IRAs, Self-Directed HSAs must be established and maintained with a qualified custodian/trustee, such as a brokerage firm or bank. Self-Directed HSAs can be established by individuals or by employers; and contributions are deductible by the contributing party. The individual must be covered under a high deductible health plan (HDHP). The individual must have no other health coverage, unless an exception applies. The individual must not be enrolled under Medicare. The individual must not be claimed as a dependent on another persons’ tax return, for the year in which the Self-Directed HSA contribution is made. Individuals should consult with their tax professionals, to determine eligibility for HSAs. Self-Directed HSA contributions must be made by the owner’s tax filing due date. Extensions do not apply. An individual may claim a tax deduction for Self-Directed HSA contributions made to his/her HSA. If the contribution is made by the individual’s employer, the amounts are deductible by the employer but are excluded from the individual’s income. Self-Directed HSA contributions grow on a tax-deferred basis, and are tax-free when distributed, if the distributions are used to pay for qualified expenses. If the individual ceases to be an eligible individual, the date on which such eligibility ceases. The contribution limit for 2018 is $3,450 for those with self-only HDHP coverage, and $6,900 for those with family HDHP coverage. An additional catch-up contribution of $1,000 is permitted for individuals who are at least age 55 by the end of the year. There are other factors that could affect the contribution eligibility, such as whether one is eligible for the entire year. Individuals must consult with their tax professional to determine whether they are eligible to contribute the full amounts stated above. Contributions in excess of the statutory limit could be subject to excise tax, if not corrected properly and timely. During the Self-Directed HSA owner’s lifetime, distributions are optional. The tax-treatment of distributions depend on whether they are ‘qualified’ or ‘nonqualified’. Distributions from Self-Directed HSAs are tax-free if they are used to cover qualified medical expenses, which are expenses that would generally qualify as deductible medical and dental expenses on the individual’s tax return. Individuals should consult with their tax professionals to determine whether particular expenses meet this requirement. All dependents he/she claim on his/her tax return. He/she and spouse if filing jointly, could be claimed as a dependent on someone else’s return for the year. Generally, expenses incurred before the Self-Directed HSA was established are not considered eligible expenses. Distributions that meet the eligibility expenses requirements are considered qualified distributions. Nonqualified distributions are treated as ordinary income to the Self-Directed HSA owner, and are subject to a 20% penalty, unless an exception applies. The information provided herein is a high-level overview of the rules that apply to Self-Directed HSAs, and failure to operate an HSA within the confines of the application regulations and operational requirements could result in the HSA owner being subject to excise taxes, penalties and ineligibility to deduct contributions. Individuals should consult with a tax professional who is knowledgeable in the area of Self-Directed HSAs, to ensure that all the applicable rules and regulations are followed. Have you been contribution to a health savings account for some time? If you’re in good health, you may be sitting on a fairly substantial sum. According to information from the Employee Benefit Research Institute and the New York Times, an investor contributing the maximum allowable per year to an HSA and who only generated a modest average 2.5 percent return could be sitting on as much as $360,000, if they didn’t need to spend anything down. And if they got just 5 percent, that number could be as high as $600,000. A skilled Self-Directed HSA investor can do quite a bit with a sum that big. Nationwide, health savings accounts represent a lot of capital: As much as $30 billion as of the end of 2015, according to the 2015 Devinir Market Survey. This $30 billion is spread across 1.7 billion assets. Both assets and account numbers are expanding rapidly as the combination of high deductible health plans and health savings accounts gain in popularity among both individuals and employers. This leads us to our next subject, Self-Directed HSA and Retirement. The primary purpose of the health savings account is, of course, to pay unreimbursed health care expenditures for yourself and your family. Contributions are pre-tax, and any distributions taken to pay for qualified health care expenditures are tax free. Unused balances continue to compound tax free. But if you withdraw money from your HSA before you turn 65 for non-qualified uses, you will have to pay income taxes, plus a 20 percent penalty. That’s twice as big as the 10 percent penalty that normally applies to early withdrawals of IRAs and 401(k)s.
But once you turn age 65, all of that money is fair game. You don’t have to pay any penalties for withdrawals for any purpose after that age. You simply pay the income tax on the amount you take out. It’s just like having an IRA at that point – except expenditures for health care expenses are still tax-free! If you had to raid an IRA to pay medical bills, you’d still have to pay income taxes. This is why an HSA is a terrific asset to own. HSAs have only been in existence for a little over a decade. But as long as you continue to contribute and remain in good health – or use other funds to finance health care expenditures – there’s no reason you can’t amass an amount that will make a definite positive difference in your retirement. And like an IRA, you can choose to self-direct your HSA assets. How? Simply open an account with American IRA, LLC, and fund it with your HSA assets, generally via a trustee-to-trustee transfer. Then just tell us what you want to invest in – whom to wire your money to purchase the investment, and how much. A few tips: Remember the primary purpose of the health savings account: To pay health care expenses, either before or after you turn age 65. Liquidity is a factor: Keep track of your maximum out of pocket expenses for your high deductible health plan, as long as you’re in one, or for your existing health care plan or Medicare, and try to have that much in cash, cash equivalent or something easily and quickly converted to cash so you can pay those expenditures in the current year. To learn more about the self-direction option for your health savings account, call us today at 866-7500-IRA(472), or visit us online at www.americanira.com. Nationwide, health savings accounts represent a lot of capital: As much as $30 billion as of the end of 2015, according to the 2015 Devinir Market Survey. This $30 billion is spread across 1.7 billion assets. Both assets and account numbers are expanding rapidly as the combination of high deductible health plans and health savings accounts gain in popularity among both individuals and employers. May people don’t realize they can have a Self-Directed HSA. This is why a Self-Directed HSA is a terrific asset to own.